MAKE no mistake, however results went on Sunday night, Sheffield Steelers’ Elite League playoff campaign was always going to be a tough one. 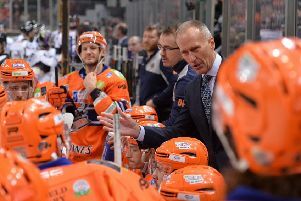 For most of the week, the expectation was that Cardiff Devils would win a third straight league championship and that season-long title rivals Belfast Giants would provide the first round playoff opposition for Tom Barrasso’s team. 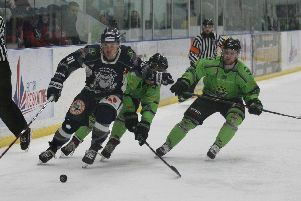 But, while the Steelers were finishing their regular season off with a 4-1 win at Milton Keynes Lightning, a major shock was taking place just over 49 miles down the road in Coventry. Cardiff needed just a point from their trip to Coventry Blaze to back up their championships from 2017 and 2018 and, in doing so, edge out Belfast, who had gone top on Saturday night after ending their campaign with a 6-4 win over Dundee Stars. It meant the Giants sat waiting nervously as they watched events unfold online and via a webcast at the SkyDome Arena. And Coventry - having only clinched the eighth and final playoff spot the previous evening - duly delivered the result Adam Keefe’s team were praying for, producing a stunning performance to floor the Devils in a 3-1 victory. Coventry’s ‘reward’ is to face Belfast next weekend, leaving the Steelers to deal with a wounded Devils team who will go into the two-legged tie desperate to salvage a so-far trophyless campaign by retaining their playoff title. If possible, it makes them even more dangerous against a Steelers side they have owned most of the season, winning five times in the six-game head-to-head regular season series, although the Steelers - who will play first leg at home on Saturday - will take plenty of confidence having won the most recent of those meetings 5-4 just two weeks ago. 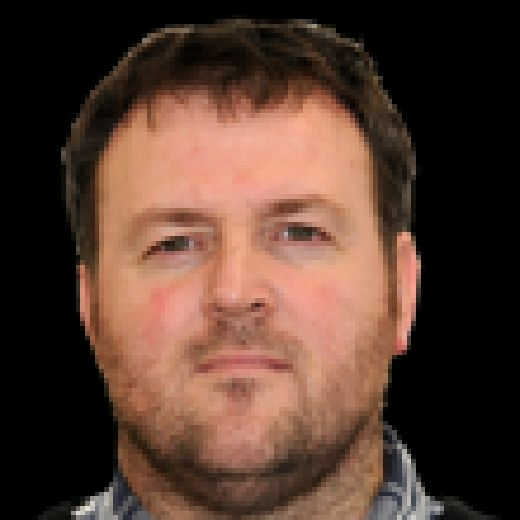 In what was Lightning’s final EIHL game after two seasons - next year sees them join the newly-formed second-tier National League - Steelers produced a comfortable victory, the game won just after the halfway point when Tom Zanoski’s strike at 34.40 added to earlier goals from Jordan Owens and Tanner Eberle. Former Steelers’ forward and Lightning player-coach Tim Wallace hit a reply on the power play at 52.56 before John Armstrong hit a late empty-net strike for the visitors. John Armstrong scored a late goal at Milton Keynes for Sheffield Steelers. Picture: Dean Woolley. "It also got us to 30 wins for the season which is one of the things we focussed on. We could have had nine goals, we had so many crossbars and so many looks that didn’t go in and there’s lots to like about our game. "Some penalty problems late on made it interesting but I thought we showed up and played a hard game."